DROP TWO TITANS ON IT! Toss in an actual MW or MW2 style campaign and I'll jump on board that train. But MP only.....I'm not down with that. I kept thinking and the first one was going to be the greatest thing ever, and while I enjoyed the gameplay I got bored quicker then other multiplayer games. I'm hoping the second one will be deeper. I have not heard anything yet, but is there any doubt they will have some sort of single player mode/campaign in this? I played a lot of Titanfall when it came out. I loved it. It was the only time I - as kind of a terrible FPS player - didn't always feel completely outmatched in every round; the bots running around played a big part in that. I appreciated the focus on making multiplayer fun for casuals, but it never seemed to get the audience it needed to sustain. I never did get around to playing the last round of DLC that came out, though. I'll probably skip Titanfall 2 unless there's a compelling reason to buy it. Titan swords isn't enough to get me excited. If there's a single-player campaign, I might rent it and power through that, just to see what it's like. I'm in. I thought the play mechanics were incredibly solid. I think the big problem was that PS4 just smoked XB1 off the line, and that limited the amount of people into the game. I still think of the game fondly, but my friends never jumped on board like I did. I hope that changes this time around. Which begs the question, do PS4 folks care enough to even give this one a shot? 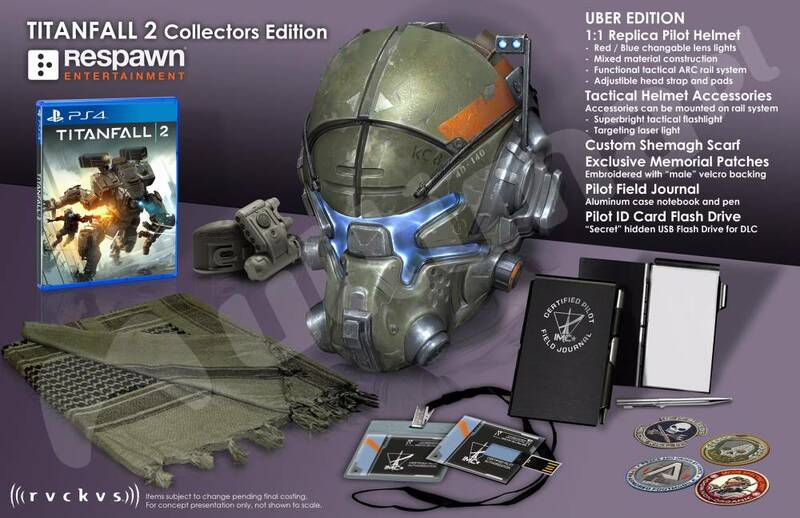 Well...if anything the two collectors edition are just awesome.....that said I've read here & there on the game and we shall see if they opened it up, tweak some parts and put in a SP/co-op campaign. Is the first Titanfall now available for PS4? No, it's XBox (and PC) exclusive. Titanfall 2 will hit PlayStation 4, Windows PC and Xbox One on Oct. 28, and the game will ship with a "full single-player campaign." The news on Respawn Entertainment and Electronic Arts' sequel comes from a live broadcast on YouTube ahead of the publisher's EA Play event. The company posted its rehearsals, apparently unintentionally, on YouTube alongside a new trailer for the single-player campaign. According to details from the stream, Titanfall 2 will come with "expanded pilot gameplay, more customization options and a deeper progression system" and six new Titans. The game's single-player campaign — which can be played offline — has been "crafted to dive deeper into the Titanfall universe" and explore the bond between Pilot and Titan. That's a dangerous release date, coming one week after Battlefield I and one week before Call of Duty. I'm in for sure, though, especially because of the single player campaign. I'll be curious to hear if there's any advantage to sticking with the Xbox One (like, if something carries over from the original game, not that I sunk a ton of time into it) or anything. That's interesting, I didn't even think of that - I don't know why EA would release two big multiplayer shooters in back to back weeks. Titanfall seems like it would get destroyed unless reviews and hype are excellent. Official trailer is up since it leaked. Future maps will be free. Though it's sad that they call that above video a "gameplay" trailer, as out of 2 minutes, it shows maybe 2 seconds of actual gameplay. Sure, the cutscenes may be in-game, they're not gamePLAY. 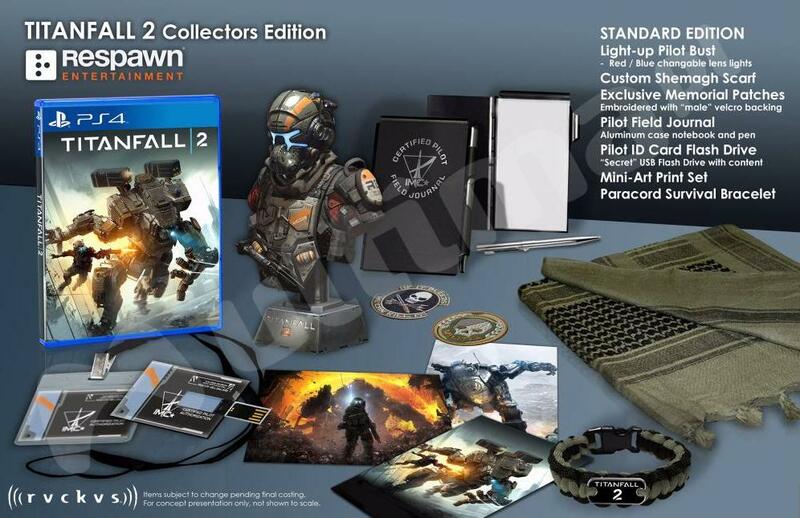 So...if Titanfall 1 is an XBox exclusive, how is the sequel is on PS4? Will they release a PS4 version of the first one? I highly doubt those who get the PS4 version will have played the XBox version through unless they own both consoles. EA and Microsoft signed an exclusive deal for the first game. Doesn't apply to the second game. It's not like there was much of a story that you need to know from the first game in order to play the second. Last edited by fumanstan; 06-13-16 at 10:39 PM. As a My Best Buy® member, you'll get $10 in reward certificates when you pre-order and purchase Titanfall 2. Obviously, I'm in. Now to decide which system to get it for. I wish it had cross play. I actually hoped this would do well on the XB1 when it came out because it did "show a lot of potential" and something a bit different. I just think some of these DEVs who make a game that obviously looks like it should have some sort of campaign, co-op story infused yet decide to put it into MP only box is making a mistake....much like Star Wars Battlefront did. I think the reception will be much better this time and if they can balance the MP & SP DLC even better. The first multiplayer test is underway for the PS4 and Xbox One, and the response so far has been pretty intensely negative on all the forums I read.